FRITSCH Planetary Mills premium line are powerful, all-purpose mills that can be operated in a fast, simple and safe manner. Thanks to the exceptional rotational speeds of up to 1100 rpm, ultra-fine results are obtained by wet and dry comminution of soft, hard, medium-hard, moist and brittle samples, through the powerful impact of grinding balls in rotating grinding bowls. The FRITSCH Planetary Mills premium line also delivers excellent performance and usability. 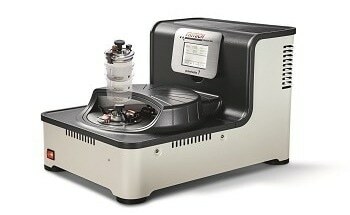 Users can benefit from short grinding times and reliably reproducible results down to the nano range. The FRITSCH Planetary Mills premium line is a suitable solution for mechanical activation and alloying in materials research, or for highly efficient mixing and homogenizing purposes. FRITSCH develops and produces state-of-the art laboratory mills. Extra power makes them stand out from other similar instruments, and even more practice-oriented equipment elements make working with them easier, more comfortable, safer, and faster. Customers can obtain premium results with complete reliability. Using dual grinding stations, FRITSCH developed the FRITSCH Planetary Mill PULVERISETTE 5 premium line as a 'big sister' for the PULVERISETTE 7 premium line. Featuring a secure automatic clamping of bowls, the mills are suitable for fast dry and wet grinding, homogenizing, mixing, and mechanical alloying of large quantities of sample with consistent results down to the nano range. The FRITSCH PULVERISETTE 5 premium line provides maximum operational safety. In the newly developed bearing of the grinding bowl holder, the grinding bowls are accommodated in a fully enclosed frame. It is locked automatically by the machine through ServoLOCK. This ensures easy and safe operation with user-independent, reproducible clamping at any time. Features including; a high-resolution touchscreen, practical plain-text user navigation, and logical menu structure in various languages provide fast and easy operation. Users can simply insert the grinding bowl into the holder from the front area of the PULVERISETTE 5 premium line. A practical guide ensures accurate positioning of the grinding bowl. The ServoLOCK is triggered by simply pressing down the clamp. The actual clamping is motor-driven by the mill. This ensures that grinding occurs under the same conditions without any manual fastening or screwing. The uniquely designed Servo-LOCK in the PULVERISETTE 5 premium line releases if there is any build up of overpressure. This allows the grinding bowl to be opened easily and safely. 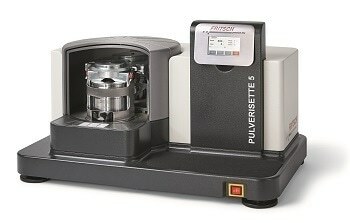 Until both bowls are properly inserted, the PULVERISETTE 5 premium line will not start grinding. It also prevents the setting of speeds that are too high, based on the bowl material used. 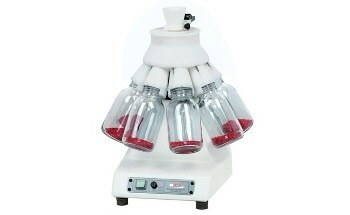 This provides steady and reliable results, eliminating inaccurate operation. The PULVERISETTE 5 premium line is operated through the adjustable and ergonomically designed touchscreen, with just a single hand motion. Users should enter the different rotational speed and the grinding time should be defined. They can also program interval and pause times by pressing the minutes and seconds timer; as many as 10 programs can be saved. All data can be easily exported through a USB, thanks to perfect integration into the IT structure of a user’s lab and the MillControl software. As stated before, the grinding bowl is inserted into the holder from the front section of the PULVERISETTE 5 premium line. To insert the second bowl, the second grinding station shifts forward at the press of a button. As soon as the grinding bowl is inserted, the clamp is closed with an easy hand motion. The grinding bowls are motor-driven by the mill, and clamped in. This way clamping is always identical, irrespective of who uses the device. This ensures excellent reproducibility. An LED light indicates that the bowl is properly and clamped. The second bowl can now be inserted and clamped. As soon as both of the grinding bowls are properly inserted and clamped, the “Close” command displayed on the touchscreen should be selected and the grinding chamber will close automatically. Users can then enter the grinding parameters and begin the grinding process.